Can anyone explain to me how it’s the last day of September? I honestly feel like I blinked and this month flew by… It was only yesterday that I was going to the Scottish Games and that was at the beginning of the month! I have a feeling the last three months of the year are going to pass just as quickly – so I suppose we should all buckle in for the ride! A Clash of Kings by George R.R. Martin – The second book in the Song of Ice & Fire series; I re-read this for a large portion of the month, on my iPhone! I didn’t think I’d enjoy having a book on my iPhone but it’s the enhanced edition and it’s been really nice to literally have a book in hand everywhere I go! Of course – the book is excellent, just like it was the first two times I read it, ha-ha! A Storm of Swords by George R.R. Martin – The third book in the Song of Ice & Fire series; I’m in the middle of reading this…also on my iPhone. I’m finding myself surprised by how much of the TV series still matches up so perfectly to the books. I thought they diverged much more/much sooner and I’m realizing on this re-read that might not be the case! Say it with me now: I still haven’t read any of the books I bought earlier in the year! I know…I know… I should reading new books and not re-reading things I’ve already read (more than once) but oh well! Not reading them now just means I’ll have new things to read later, right? 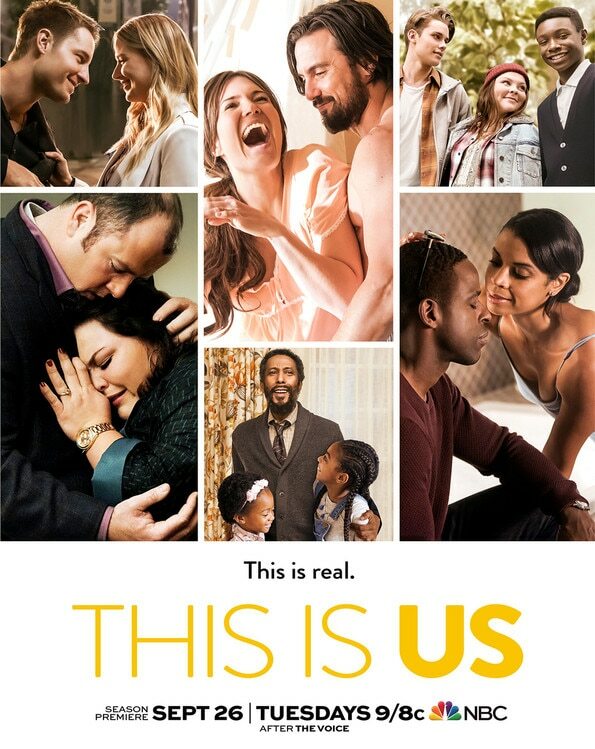 This Is Us – The second season of This Is Us started earlier this week and…of course…I cried twice! I cannot say enough about this show; if it isn’t on your radar, I 100% would tell you to take the time to catch up with season one and get into season two. This show is so heart-warming, often heart-wrenching but I think what makes the show so good is that it seems so REAL. These characters and the portrayals of these characters are just so completely stellar across the board – this show is absolutely fantastic! Just know – it will almost certainly make you cry – sometimes more than once an episode. It is absolutely so fantastic though and definitely not to be missed. Y’all…I’m not kidding… I haven’t been to a single movie this month either. I don’t even know who I am anymore. Ha-ha! However, there are several movies coming out in the next few weeks (and months) that I’m looking forward to seeing. I’ve made a list below and we’ll see how well I do at marking them off the list in the next three months! Anyone have any other suggestions? Something tells me I’ll be seeing plenty of movies over the next three months to make up for not seeing any the past two months! 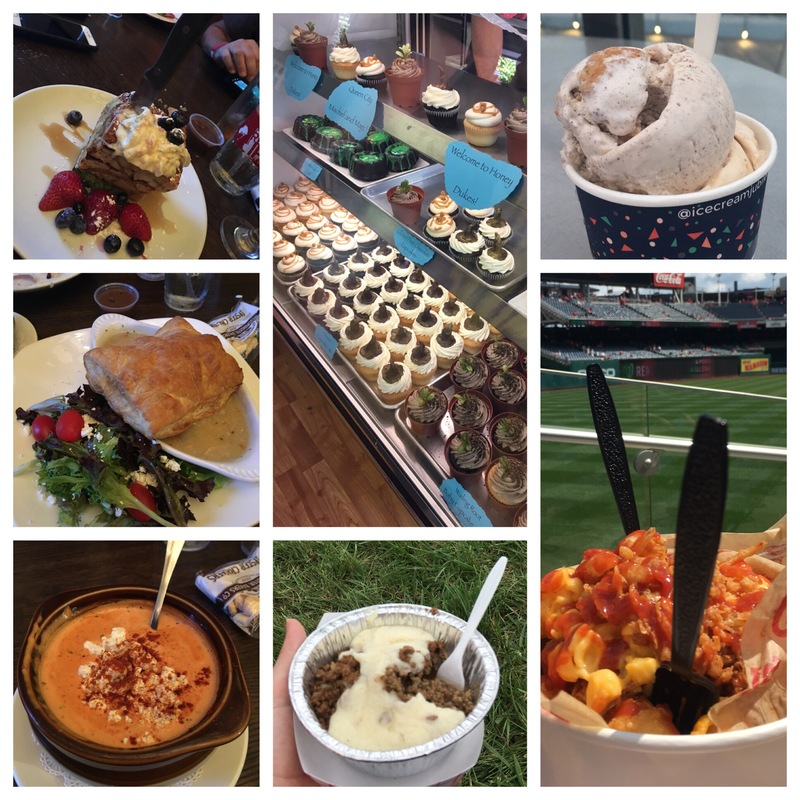 I ate so many tasty things in the month of September – I could go on for days about them all. I started the month eating yummy shepherd’s pie and Scottish shortbread at the Scottish Games and had some to die for tater tots piled with barbecue pulled pork, macaroni and cheese and fried onions from See You Tater at Nationals Park. I sampled the Autumn ice cream flavors at Ice Cream Jubilee – both Apple Butter Oatmeal Cookie and Sweet Potato Molasses Candy were like little bites of Fall – *sigh*. The cupcakes from Honeydukes (or Paris Cake Company) were absolutely magical (pun completely intended). The Game of Thrones brunch – well that food was to die for (pun still intended) and I can’t wait to see what delightful dishes the next three months have in store. I’ve honestly been listening to a lot of Game of Thrones and Outlander soundtrack music for most of the month… When I’m not listening to that, I’m tuning into podcasts. Some favorites this month include The Popcast with Knox & Jamie and Between Innings with Dan Kolko. Nothing too earworm-y this month…just tunes and talking. The Final Regular Season Nationals Game – I’m starting October off in one of my favorite ways; watching a Nationals game! The final game of the season is always fun and it’s especially fun this year since our season isn’t really over – the post season starts on Friday, October 6th at Nationals Park. It’s fun to celebrate a well played season and look ahead with anticipation toward potential win(s) in the post season…and they usually have apparel sales at the Team Store, throw free “swag” into the crowd after the game and raffle off game worn jerseys (I’ve got my tickets). My Birthday – I’ll be thirty-three on Friday, October 6th…yikes! However; given that the alternative to celebrating another birthday is…to not be celebrating another birthday, I’ll happily eat my cake and look forward to another year of making memories! Lindsey Comes Homes – My younger sister has been on an extended all expense paid vacation courtesy of the US military and she is finally…finally coming home in mid-October! I cannot wait to see her; I haven’t seen her since May! This is probably what I am most excited about in October…because…I get to see my little sister again! Yahoo! Halloween – I do so love Halloween and I love dressing up! The girls I work with and I always dress up for Halloween and this year will be no exception. Two years ago we dressed as the Sanderson Sisters and last year we were Star Fleet…this year we are going for a more Westerosi vibe! I’ll be dressing as Cersei Lannister and I’ll be joined at the office by Daenerys Targaryen and Melisandre… Fear not, there will definitely be plenty of pictures capturing our awesome Halloween costumes! I can’t wait! And…that’s all there is for the month of September! Onward to the last three months of the year and the joy and holiday celebrations that they bring! Friday is here once more – oh happy day! Let’s get to five things on my mind this Friday; the last Friday for the month of September! One. Fall Weather – It has been unseasonably warm for the past two weeks…it even topped out at 90 on Wednesday! No thank you! It finally cooled off yesterday and the weekend ahead is looking more like Fall with highs in the lower 70’s/upper 60’s and lows at night getting into the 40’s! I even had to bust out my windbreaker last night while eating supper on the deck! Two. The Weekend of Natalie – Sound a bit self absorbed? I promise; that’s not the intention. I’ve just decided that since my family will be out of town the weekend of my birthday (it’s next Friday…) that this weekend we can celebrate. So I’ve made all the plans for the weekend, ha-ha! Okay – maybe it’s a little self absorbed, but you only have one birthday a year! Three. Hunter’s Head & Afternoon Tea – We are heading over to Upperville, a teeny town about thirty minutes from home to have dinner tonight. The tavern has been around since 1750 and began as a log cabin; it has grown from there and is an authentic English Pub. I have never had a bad meal at Hunter’s Head and I can’t wait for supper! We’re going over to Culpeper, VA on Saturday to explore the small town and have afternoon tea. I’ve never been to Culpeper but it looks like a unique small town and the weather on Saturday is supposed to be gorgeous and COOL – so I can’t wait! Four. The Final Regular Season Game – Sunday is the Nationals final regular season game and of course, I’ll be in the stands! The Nationals will be taking on the Pirates and much like last year’s game, when it’s all said and done…we’ll celebrate the team being the NL East Division Champs, they’ll throw free t-shirts and goodies into the crowd and they’ll do the Jerseys Off Their Backs giveaway – where you can win; you guessed it, the jersey each player wore in the final game. I’ve got my raffle tickets – here’s hoping for a Curly W and maybe a W in the jersey column? Five. October – The first of my favorite three months of the year starts on Sunday! I love all things Autumn and October really kicks that off…and it also kicks off the last three months of the year (where has 2017 gone?!?). I love Autumn, Halloween, Thanksgiving and then…don’t even get me started on Christmas guys! This October promises to be more hectic than usual but I’m still excited for the last three months of the year! I’m sure I also have a deep love for October because it’s the month I was born…ha-ha! That’s all I’ve got for this week! Hope everyone has a wonderful weekend and your October gets off to a wonderful start! 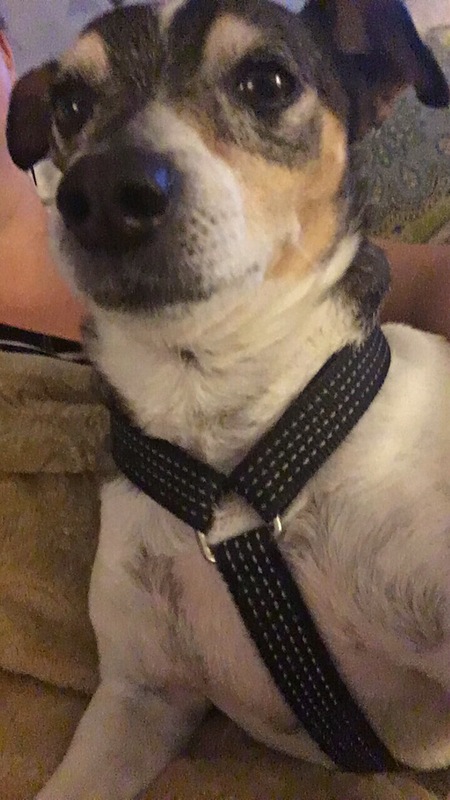 Who knew this sweet pup was such a good selfie taker? Not I…. ha-ha! Well – obviously Monday was insane – because it’s Tuesday and I’m just now getting around to this… Any who – onward to the recapping of the past weekend; because it was filled with things and almost all those things were themed! Friday night – the sunset was breathtaking; I mean, there is no filter on that picture and would you look at the colors? Before the spectacular sunset, I joined my parents for dinner at a new Mexican restaurant that; no kidding, had a salsa bar! The food was delicious and what’s not to love about being able to go pick and choose from fourteen different kinds of salsa? I mean – it obviously takes very little to please me, ha-ha! We made a stop into Lowe’s (because who doesn’t love Lowe’s on a Friday night, right?) and I had to pose dramatically with all the Halloween blow-ups…ha! I helped Watson perfect his selfie taking skills and we watched Wonder Woman – still such an excellent movie, just as good as it was in the theater! Saturday was the beginning of all things themed – we headed to Staunton; a small town that’s about an hour and fifteen minutes from our home for the Queen City Potter Party. The event came about in 2016 as a celebration of the release of Harry Potter and the Cursed Child; two friends who own businesses in the town recalled the parties that used to take place when a new Potter book would be released and wanted to recreate some of that “magic” in their town. Well – it’s safe to say they succeeded! We stopped in at a quilting shop that had all sorts of fantastic beasts (if you will) that had been felted by hand; rows of owls, dragons, Dobbys, golden snitches and freshly caught Cornish pixies! They also had mugs that were made by a local potter that were emblazoned with the phrase “Always” and I was informed as I was checking out that this would be the last set of mugs that could use the word Potter; next year the festival cannot use that magical name. *sigh* The festival will still be magical, I’m sure! People were being sorted here and there…posters were pasted to the door lintels offering rewards for the capture of certain dark witches and wizards and there were even an abundance of Hogwarts letters “floating” above the entrance to one store. Magical I tell you – magical! I met and posed for a picture with Gilderoy Lockhart, who assured me I had no need to be nervous…although everyone was always nervous meeting him, ha-ha! I also met Dumbledore and McGonagall and finally received my Hogwarts letter, complete with a list of books I’d need. McGonagall immediately knew me as a Hufflepuff (I wore my House colors y’all) and also spied my owl earrings and asked if I’d been to the Owlery yet. Love! Our buzzer squawked then and so we headed back to have a late lunch at the Be-Stro (very yummy)! One of the waiters was dressed as an escaped Azkaban prisoner and after mentioning I needed a picture…my Dad disappeared “to the bathroom” and on his return was smirking…because he’d found the guy and asked him to come take a picture with me. *blush* After our photo session, we found our car and made a quick stop at Honeydukes (a local bakery) for some treats before heading on our way. I found the Mirror of Erised outside Honeydukes and snapped a picture…and we also caught a golden snitch while we waited in line! What are the odds? Also – I have no clue what either of us are doing in the picture I got with the escaped prisoner. Awkward or what? We decided to take Skyline Drive through the mountains on our way home – the leaves haven’t quite started to turn yet, but the views were gorgeous nonetheless. We stopped about halfway through the drive to have blackberry ice cream and enjoy the cooler weather at the top of the mountain before grabbing some chicken to take home for dinner. We watched a pretty dismal Mississippi State football game and of course, ate some of our cupcakes from Honeydukes! Our cupcakes were: a Mandrake cupcake (remember HP & the Chamber of Secrets? ), a Butterbeer cupcake and a House cupcake…complete with a wee sorting hat! And they were all delicious! Sunday morning afforded plenty of time to sip coffee and just relax; I even managed to get in watching the new episode of Outlander before I had to get ready to meet some friends for brunch! Not just any old brunch; mind you, I did say this weekend was filled with themes! We headed to a local pub called Union Jack for a Game of Thrones themed brunch – three hours of food, drinks and all things Game of Thrones! 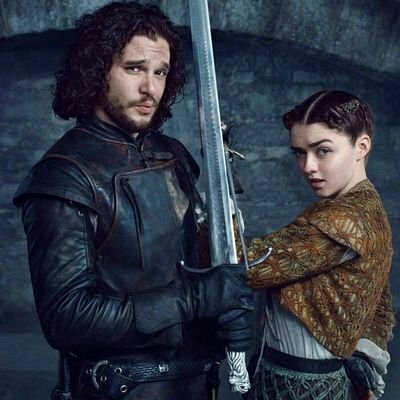 The first season of Game of Thrones was playing on the big screen and we discussed all sorts of things – surprisingly – not all related to Game of Thrones; although a lot of the conversation did revolve around that. Surprising – right? There was a long table down the middle decorated to theme and it had fresh fruits and fruit juices and all the mix-ins for your mimosa or bloody mary – definitely a new experience! I made my first mimosa with peach juice, strawberries and blueberries and my second with cranberry juice and pineapples! Both were yummy…but the cranberry might have been my favorite! Some other dishes tried in our group of four included a Bowl of Brown (french onion soup) and the Arbor Red Poached Pear Salad…Danielle dove into The Steak that was Promised as her meal and we managed to sample all the desserts – Jennie got Sansa’s Lemon Scones and Danielle got the Wolves Last Cake. Everything was delicious and I have never been so full in all my life! I struggled not to take a nap when I got home…ha-ha…I was so full and satisfied! I dug deep and found some inner desire to clean my bathroom and dust my house while watching the Nationals win their game in NY. I finished out the evening having dinner on the deck with my Mom and then visiting with some friends before the evening was over! Weekends always pass too quickly but I love knowing that I can look back on this themed weekend with so many wonderful memories! One. The First Day of Fall – It’s here! Fall is like the gateway to my favorite three months of every year…and today is the first day of Fall! I love watching the leaves change colors, feel the temperature start to drop, heck – I honestly don’t mind that it gets darker earlier! I love everything about Fall…leaves, pumpkin everything, cooler weather, sweaters & boots & scarves, postseason baseball, Halloween & Thanksgiving, pumpkin patches & corn mazes..y’all, I could go on for days! Happily – my favorite season starts TODAY! Two. Harry Potter & Staunton, VA – Staunton is a small town about an hour from my house and every year they host the Queen City Mischief & Magic Festival. For a whole weekend, the town is magically transformed to look like you’ve stepped into the middle of a Harry Potter book! You can try your hand at wizard dueling, shop for a wand or some Bertie Bott’s Beans, climb aboard the Hogwarts Express and even (if you’re lucky) dine at the Great Hall. Events start at 10 AM and go till 10 at night and you can bet there are costumes aplenty! And I’ll be making my way over to Staunton on Saturday to check it all out! I can’t wait! Three. Game of Thrones Brunch – A local pub called the Union Jack is hosting a three hour Game of Thrones themed brunch on Sunday and you can bet I grabbed up a reservation ASAP! I honestly have almost no idea what the brunch will entail but I know it includes Bloody Mary’s and Mimosas with your meal and I can’t wait to check it out! I’ve been to Union Jack plenty of times and the food is always delicious! Four. 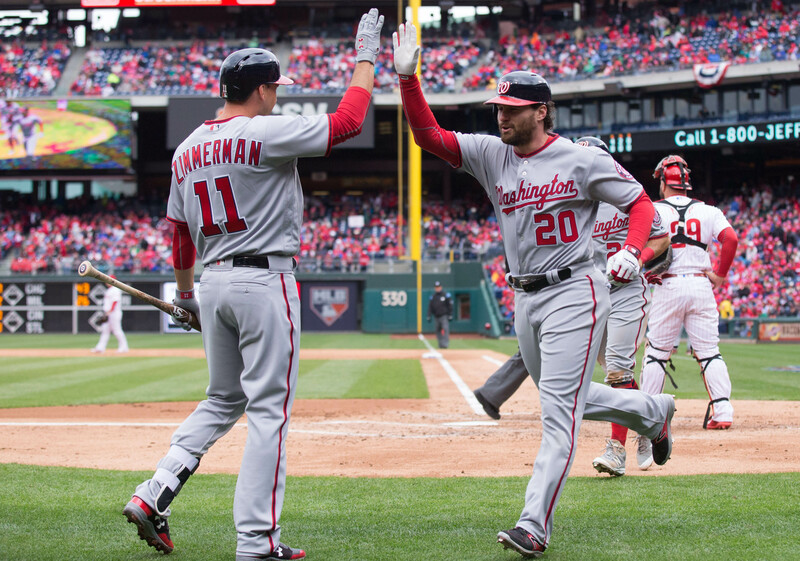 Nationals Baseball – Only ten games left in the regular season! The Nationals are currently at 92-60 and have already clinched the National League East Division title for the year. The team is looking for it’s first 100 win season; they’ll need to get a W in eight of the ten games they have left this season for that…and then it’s on to October baseball! I’ll be attending the final home game again this year (on October 1st) and then perhaps I’ll find a way to get to a postseason game? Only time will tell…but I’d sure like to cheer for my Nationals through early November! Five. September Splurge: Poppy Love – Last but most definitely not least; the September Splurge with Perfectly Posh is an awesome chunk – Poppy Love! The chunk is a limited quantity product made with rich shea butter and moisturizing coconut and palm oils that hydrate while poppy and apricot seeds exfoliate for luxuriously soft skin, scented with warm poppy, amber, and sandalwood! The best part about this chunk? For every Poppy Love chunk purchased, a chunk will be donated to Hurricane Harvey relief efforts! And when you purchase a Poppy Love chunk, you’ll get a coupon for $1 off your next chunk purchase! What’s not to love? If you want to grab one for yourself, check it out at: http://NatalieSummerlin.po.sh/ and grab one while they’re still available! That’s my five for this Friday! I hope everyone has a wonderful weekend and maybe time will slow down and it will seem longer than it really is, ha-ha! 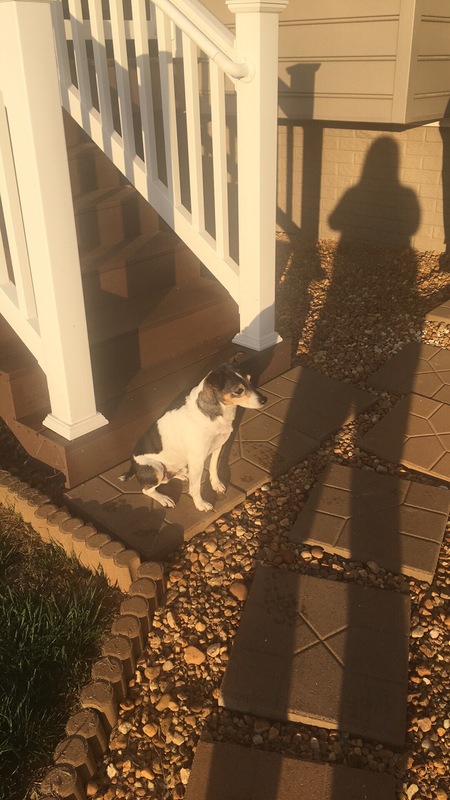 Saturday morning I got up, got ready and threw some things in a bag for my sweet pup to stay at the kennel overnight – then we were out the door, dropping the pup off and heading for DC and Nationals Park. We had tickets to see the Nationals take on the Dodgers at 1:05 and so we headed for DC for some baseball, lunch at the ballpark and hopefully a win (spoiler – sadly, no). It actually wasn’t that warm on Saturday – the temperature was hovering at around 85 – but for the first inning or so, the sun was blazing! Happily, a giant cloud slid over the sun at the start of the second inning and the cloud just seemed to grow and multiply and ended up keeping the sun blocked for the rest of the game! I finally tried out See You Tater and got the BBQ Pulled Pork Tots – delicious tater tots covered with BBQ pulled pork, crispy onions and macaroni and cheese – and yes, it was as delightful as it sound! It’s making my mouth water just thinking about them! The game was good…the final score was 3-2 Dodgers; so it didn’t really end “good” but the Nationals did rally in the latter innings and for just a bit it seemed like we might pull out a win. Thank goodness the Nationals have already clinched the division and so a little performance slump isn’t the end of the world. I’d rather the team slump now as opposed to in the postseason when the games matter all that much more! 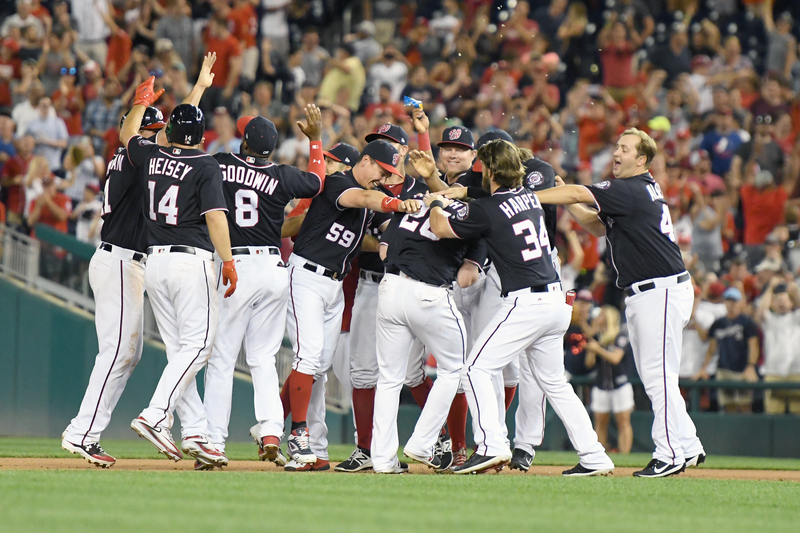 There was also a sixth inning home run courtesy of Anthony Rendon – it was the National’s first point on the board and of course, everyone got on their feet for that hit! I always enjoy my time at Nationals Park and happily munching on Dippin Dots in the top of ninth, with the sun being shaded by the clouds and the sound of the crowd – I can’t think of too many other places I’d rather spend a Saturday afternoon. I’m sure the loss was cushioned by the knowledge that the Nationals have already won their ticket to the postseason…but hey…so what if it was? Another nice thing about Saturday was that when the game ended at 4:00, we literally only had to walk across the street to the Hampton Inn and we were “home”…at least for the evening. While the sun had definitely helped with the sweaty factor; I took some time to freshen up and then we went to grab some supper right up the block at Gordon Biersche. Cue the need to take a selfie or two…sitting in the lobby of the Hampton Inn after the game…and sitting at the restaurant waiting for supper. Which – it wasn’t hot in the restaurant – but I don’t know if the AC was working at 100%. Sheesh. After dinner, we walked over to one of my favorite spots…besides Nationals Park…although this spot happens to be beside Nationals Park, ha-ha! Go figure! We grabbed dessert from Ice Cream Jubilee (one scoop of Apple Butter Oatmeal Cookie and one scoop of Sweet Potato Molasses Candy) and found a table overlooking the Anacostia River at Yards Park to watch the sunset. The weather was really pretty nice – especially if you were sitting still and eating ice cream! I probably took way too many pictures of Yards Park and the sunset – alas – that’s how it is! OH! And one of my favorite things about these pictures – better highlighted below – is that the lights from the bridge shimmering on the water remind me of the opening credits to House of Cards. Granted; on the credits for House of Cards, the shot is from the other side of the river…and Nationals Park is captured too. Hey – you’ve gotta work with what you’ve got! Sunday morning – no rest for the weary! I suppose I wasn’t really weary, but we were up before 8:00 AM to have breakfast and get over to Andrews AFB for the airshow…and while; in all honesty, airplanes are more my sister’s realm – I know a little bit about them and I like a good airshow every now and again. I took way too many pictures – you’d think I actually liked airplanes or something – which; ha…as long as they’re on the ground/I’m not in them. However – once it was all said and done – I was more than ready to get home. I was hot, sweaty and felt pretty…gross. I have never enjoyed a shower more than I enjoyed the one I took when I got home. It felt so nice to be clean! I was able to unpack, catch the new episode of Outlander, watch a little Nationals baseball (they won!) and get some Perfectly Posh happy packages put together before hopping in the bed to read and get some sleep! 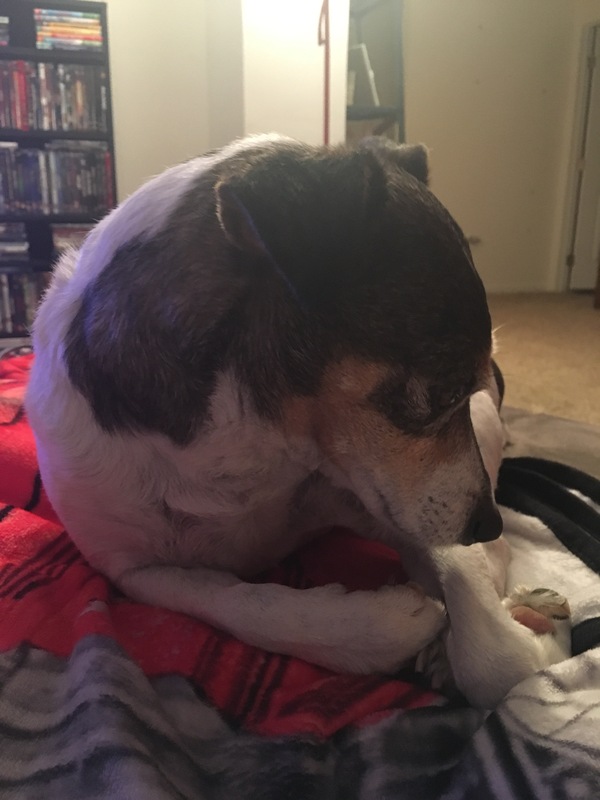 And sure – maybe my dog wasn’t exactly giving me a smile as we sat on the couch Sunday night – but he had a good weekend too. Little stinker!